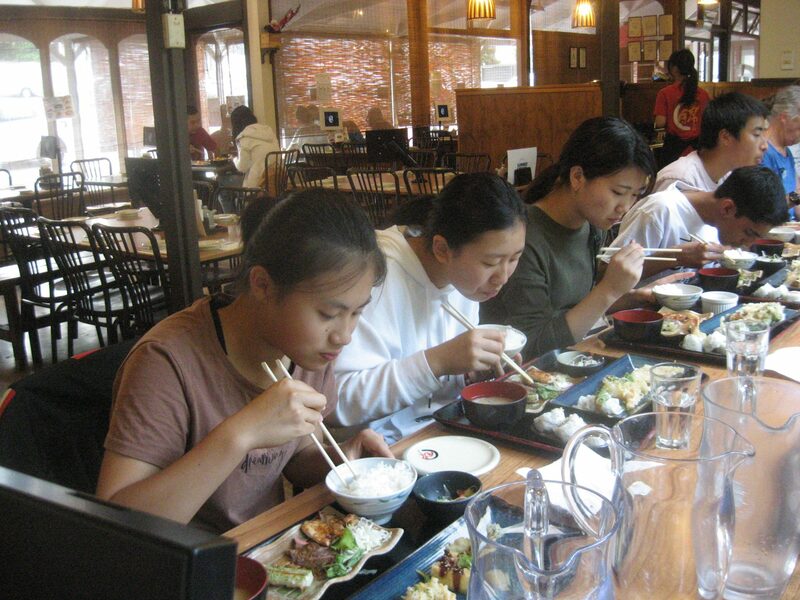 On Wednesday 20th of March, 12 senior students studying Japanese had the opportunity to go to a traditional Japanese restaurant called Nishiki located in Freemans Bay. The students had a set full course meal which included many traditional Japanese foods such as sushi, tempura, dumplings, tofu, miso soup and other delicious Japanese food. It was amusing to see some students struggle to eat with their chopsticks (mostly myself), however everyone finished their meals in the end, although some significantly faster than others. The meal was finished off with generously sized scoop of ice-cream, of which two of the popular flavours of ice-cream (green tea and sesame) were traditional Japanese flavours. A big thank you to all the teachers in the language department who helped organize as well as attend the event.